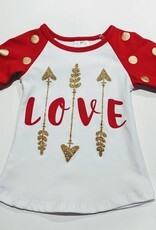 Cute Long sleeve or 3/4 sleeve cotton/spandex tops with adorable Valentines saying. Tunic styled length that goes great with leggings or jeans. 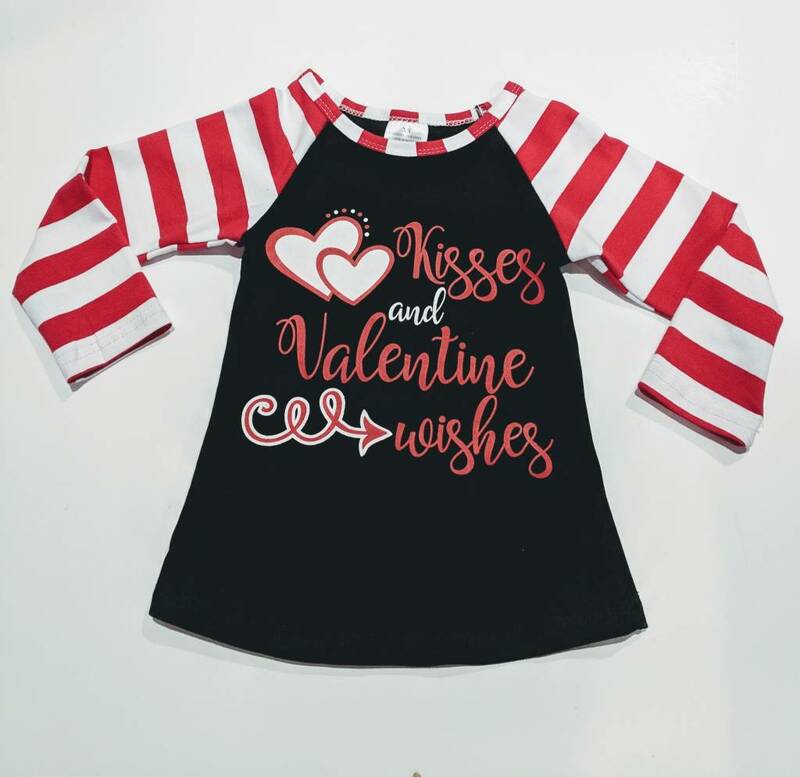 Black top with red and white graphics has red and white striped long sleeve. 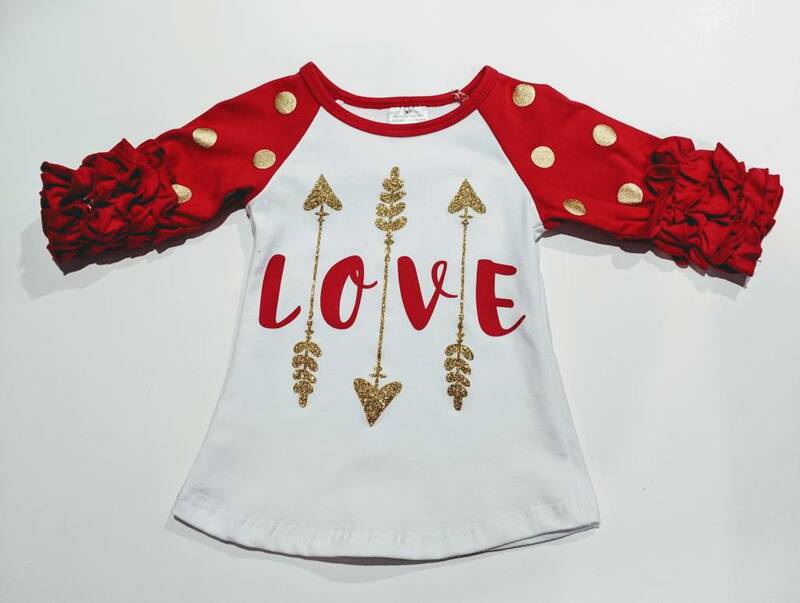 White top with red ruffled 3/4 sleeves has gold dots on sleeve and red and gold graphic on front. Both adorable. Machine wash, inside out, cold water. Hang to dry for best results.